In honor of Mikasa, I created a table for two. Adding a balcony to our Master bedroom was an added bonus. We love it! 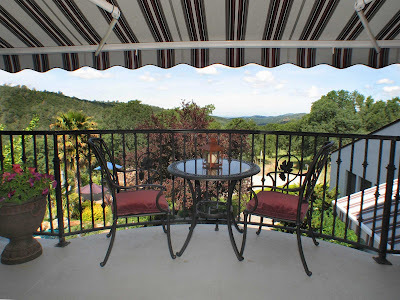 The view, the breeze, intimate setting makes for a very enjoyable place to relax. 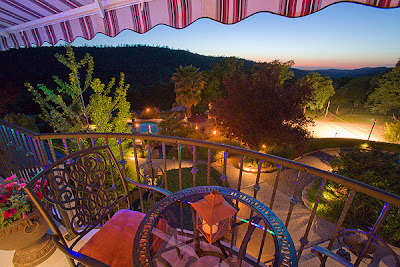 Our balcony overlooks our property. We have wonderful sunsets! I thought I would create a romantic Tablescape for two. I'm hoping to add the completer set to this collection. I am also on the hunt for Gold Flatware. This is our view from the balcony. It overlooks our pool and sand volleyball court. Night view...all lit up for a fabulous evening! I am using Mikasa Parchment Red. 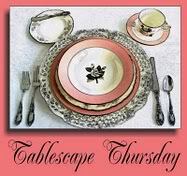 I'm linking up with Susan for Tablescape Thursday. Napkins: Linens and Things- closed store now. WoW! you really create a romantic ambiance. Have a happy TS Day. Very pretty -- I love using red. Your china is lovely. What pretty china! I love that the chair back also features a scroll pattern. A very romantic table and setting! Fantastic setting and I love the china. Thank you for sharing your beautiful tablescape. Oooo this is pretty! Great space, great table, I love it all. Red is a fav color so this is me! 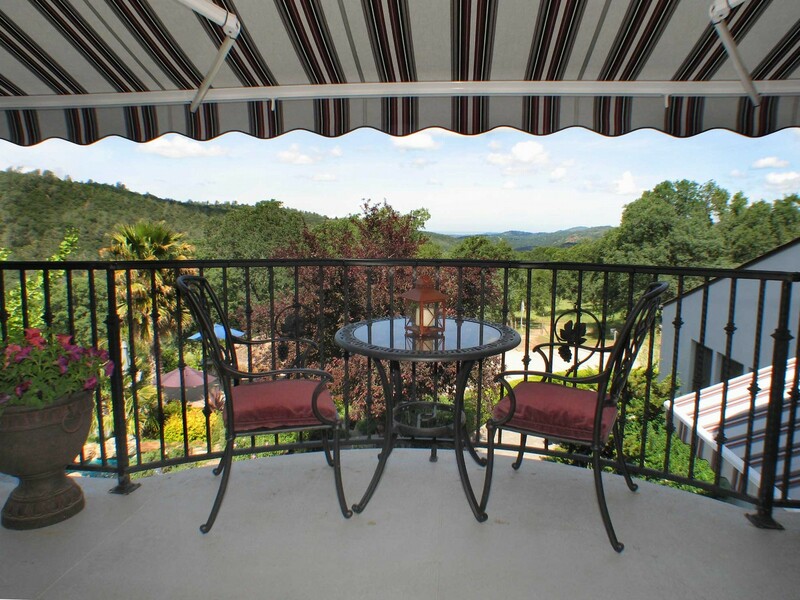 Love your balcony for the setting! What a spectacular view! Your table is perfect ... what a wonderful way to enjoy the view. Hi Linda! OH, what a beautiful table!! I adore your pretty dishes! Red is one of my favorite colors!! Thanks for popping in to see me and I just can't wait to see your kitchen. We should have a lovely time. Oh I love your view!!! The mikasa pattern is simply great. Just imagine this interspersed with Holiday dishes. The centerpiece is wonderful and the flowers provided a great addition to the table..
Gold flatware - try Tuesday Morning, I think I saw some there just recently. Gorgeous tablescape, Linda! Your dinnerware is beautiful! What a creative touch adding the masks! Thank you so much for stopping by and leaving a comment. It's always nice to know when you've had a visitor. =)You are a blessing! That looks beautiful. And your house and landscape are beautiful also. Thanks for stopping by my blog and for following. I am your newest follower also. FIRST I WOULD LIKE TO THANK YOU FRO DROPPING BY MY BLOG AND LEAVING ME A NICE COMMENT!!! OMG! An absolutely gorgeous table setting! the colors are so rich and lush! I love everything about this table including your beautiful balcony!! Lucky girl!